Gov. Michelle Lujan Grisham (D) signed legislation Friday to criminalize private gun sales but 25 of New Mexico’s 33 counties have made clear they have no intention of enforcing it. 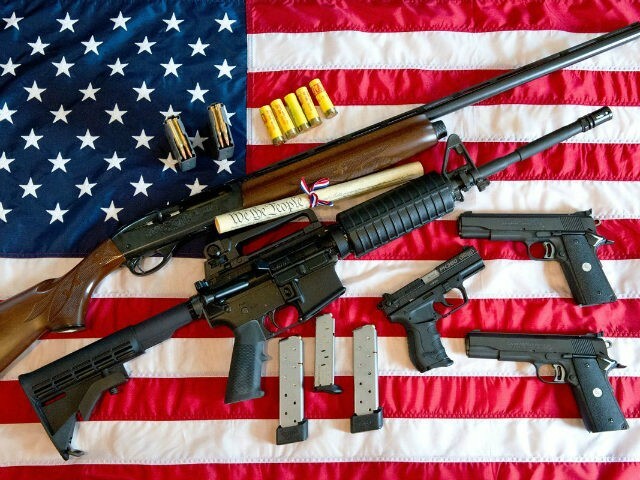 The Santa Fe New Mexican reports that 25 counties have declared “Second Amendment Sanctuary” status as a way of affirming that their county governments stand behind a sheriff’s decision to not enforce the gun control. On March 2, Breitbart News reported that 21 of New Mexico’s 33 counties had declared themselves “Second Amendment Sanctuaries.